Kitty is adorable! Sorry for my background I can’t really go anywhere but my room for photos lol. So I really love the idea of using this challenge to sort of "catalog" your collection. I hope it's ok if I add a bit of commentary with my photos? This was our first Christmas together married. 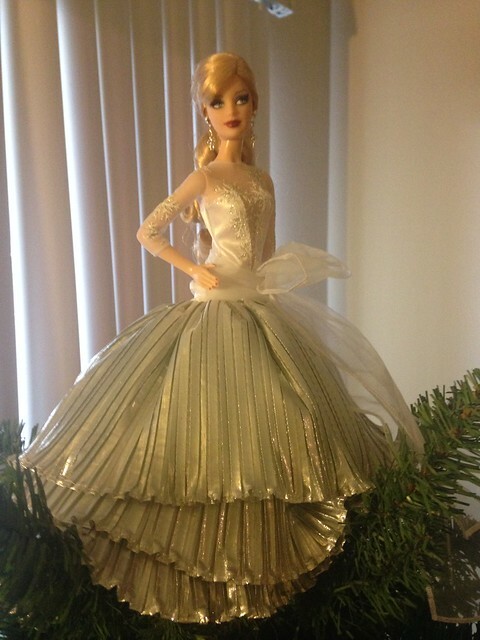 We had very few decorations and no tree topper so I used this Holiday Barbie. 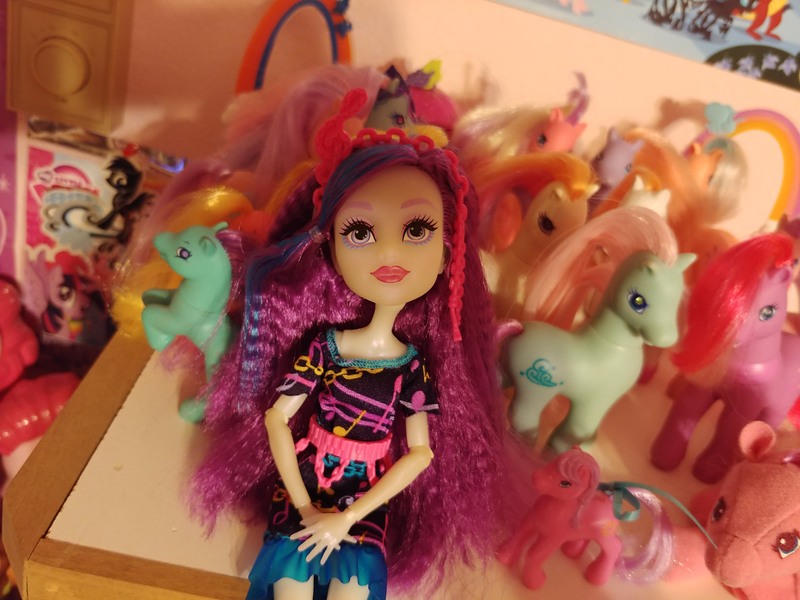 I found her at the Goodwill and she is missing shoes and her earrings are broken but I just loved her dress and face. 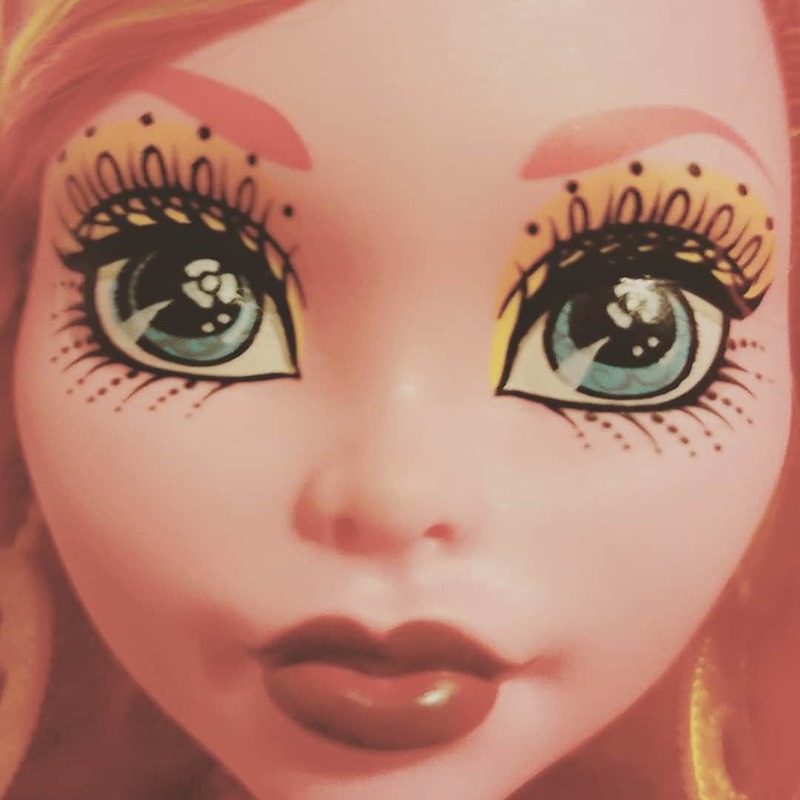 She's so elegant, my first "fancy" Barbie. 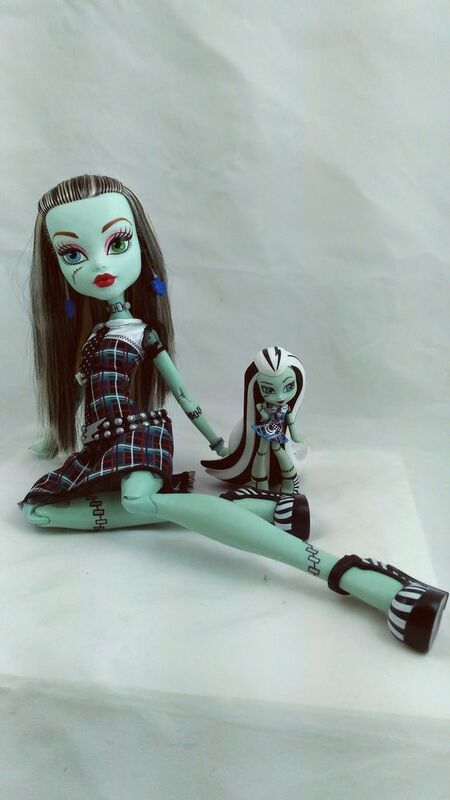 Even though the Lagoona I got today while thrifting is just a budget doll, now she and Gil can be together in my collection! Kind of a last minute photo. NinaMarie - that's a great idea for tree topper! 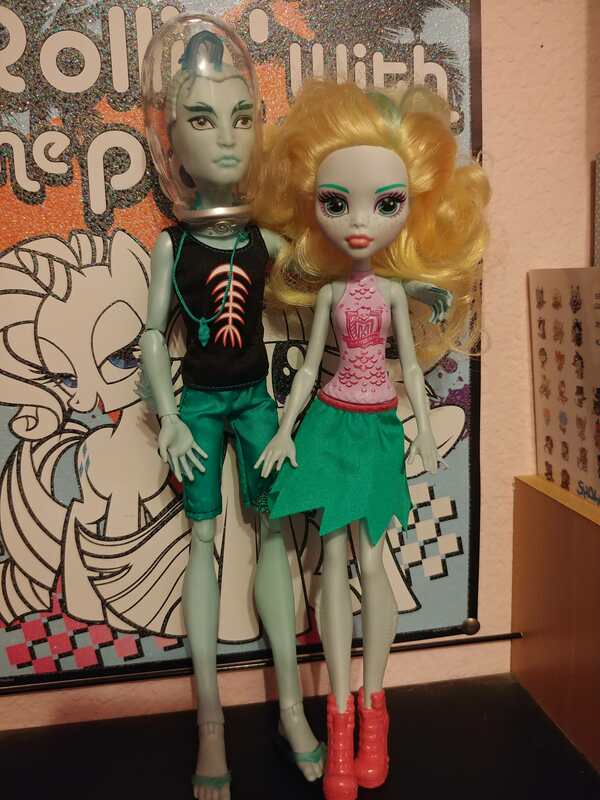 Beatles - Lagoona and Gil are such a sweet couple. 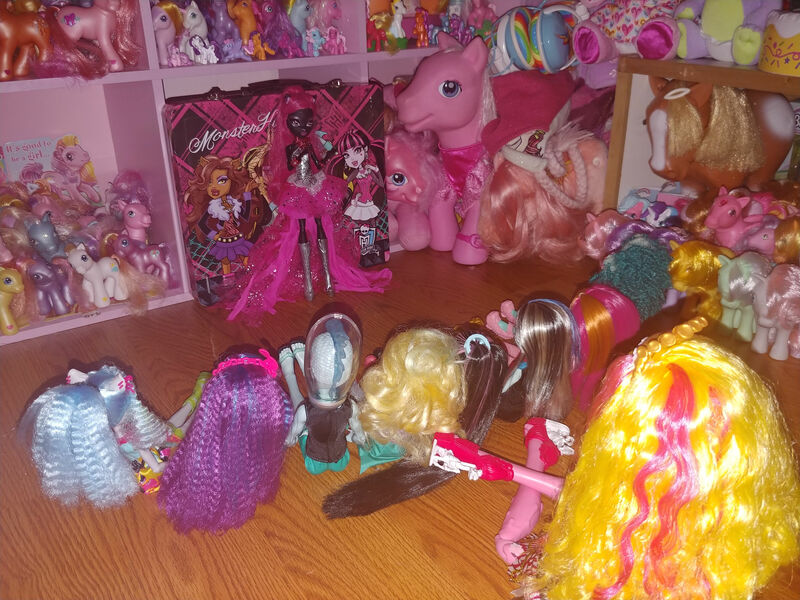 modern - Howleen's got a nice bracelet, is it from some other doll or did you make it? 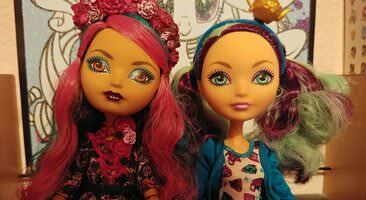 Jewelry supplies make the best doll jewelry. 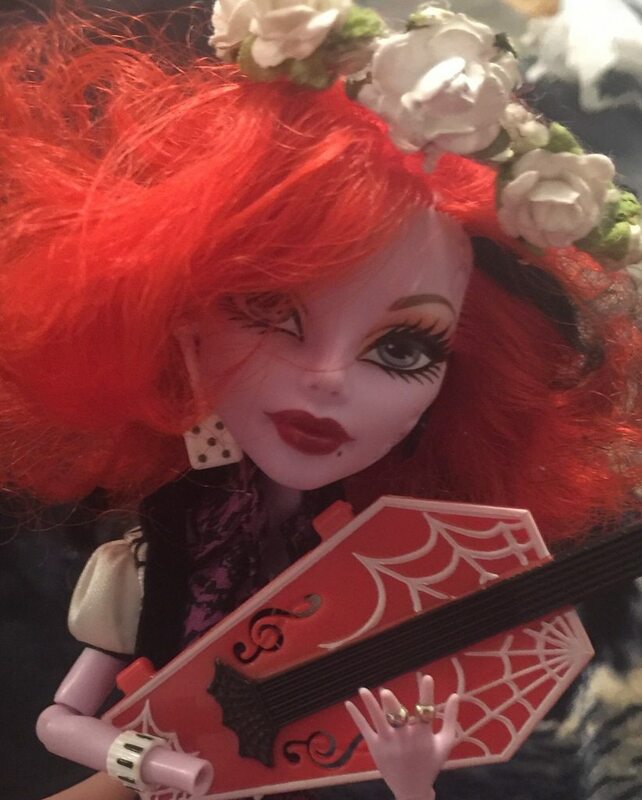 lol I like to use tiny jump rings as rings for my Frightfully Tall Ghouls. I have to cheat today and use an old photo. I'm so sick I spent a couple hours at the hospital and the rest in bed. 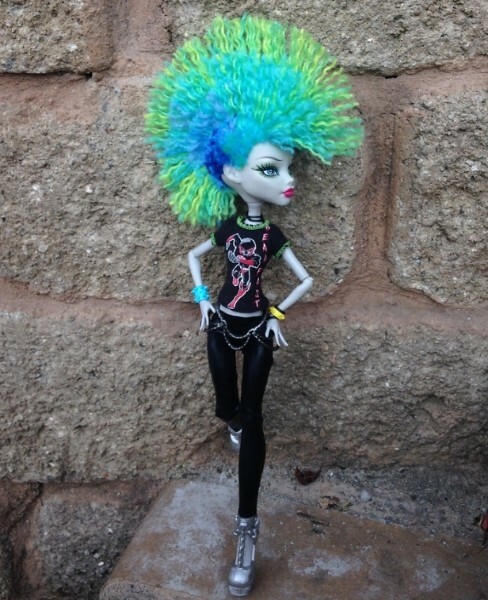 At any rate I was very proud of this photo shoot of my rehaired Ghoulia. 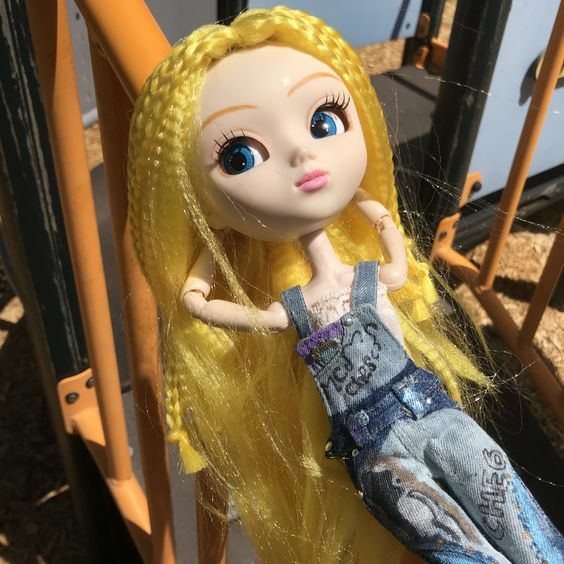 I think once I post one photo of every doll (definitely don't have 365) I'll come back to her and do a new photo shoot to make up for cheating. Another last second one, oops! Tried to do more with this one though, Raven adjusting her headband! Ninamarie - her hair looks amazing!! And Raven really does look like she's tucking up her hair - nicely done. FAQ: crown: tiny paper flowers glued to yarn braid, tiny tiny jewlery rings for ring. 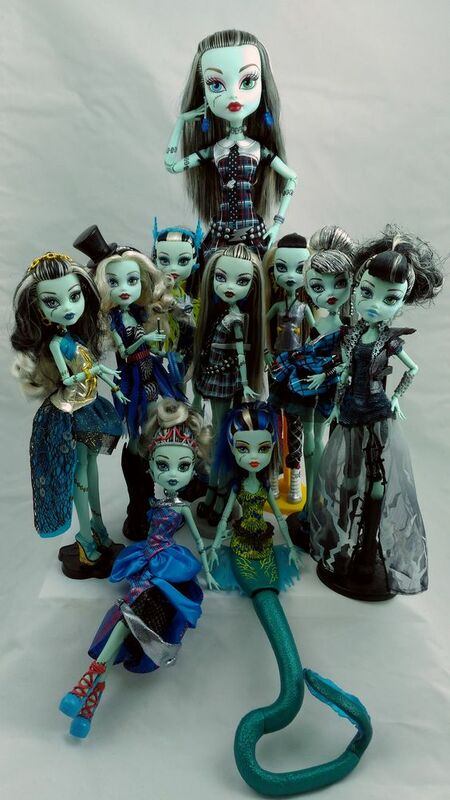 NinaMarie - that Ghoulia is gore-geous!!! Beatles - aww, Raven is so, so cute in that photo! modern - thank you for the info and yay for baity dolls! They deserve our love every bit as much as the mint ones. Frightfully Tall Frankie plus Frankie vinyl. Tomorrow will be the last 'Frankie day', at least for a while. Ohmygosh modern I love the tiny zippers! I have some tiny buttons but I'd love some zippers too. Nice additions! Hurrah for getting the light-box. 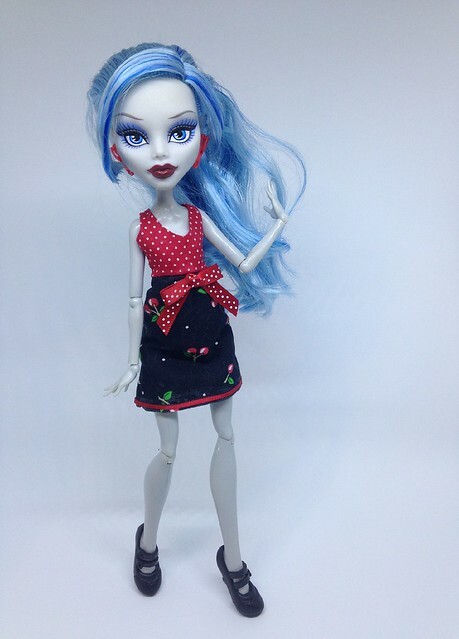 Lovely new dress on Ghoulia too. Here's my last Frankie photo (for a while) - Frankie army! ...Aaaand I’ve already failed the challenge. XP Haven’t been feeling great just lately, but hopefully I’ll rejoin this board at a later date. Keep up the awesome photos, everybody! 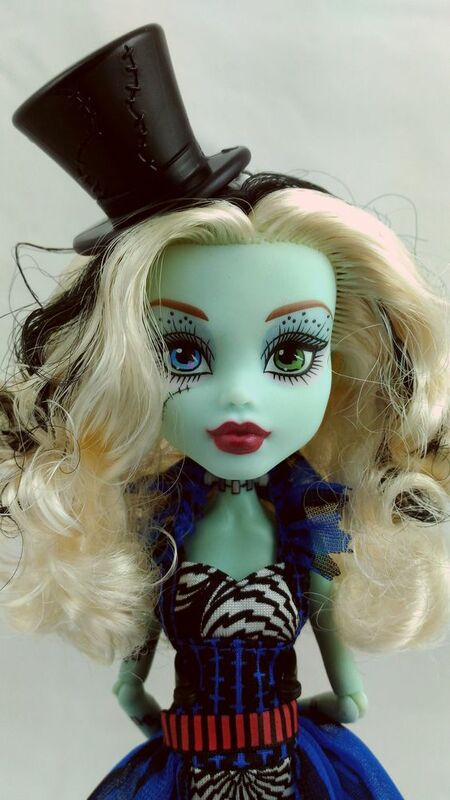 NinaMarie: That Ghoulia rehair... is so amazing. 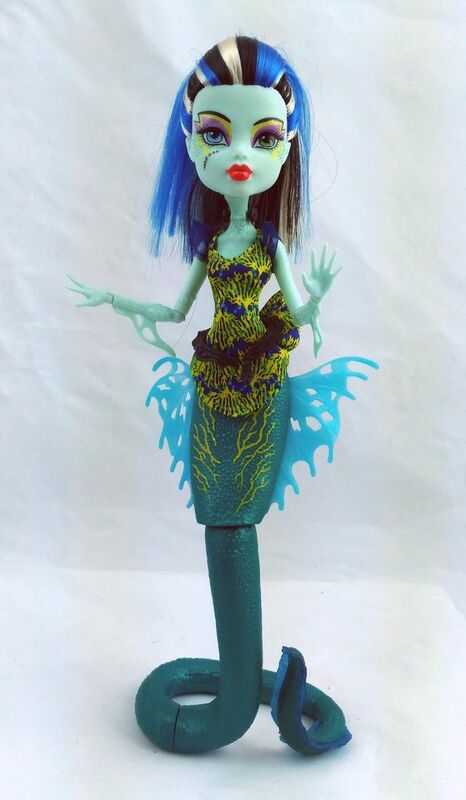 *o* You have officially inspired me to get back to work on my customs. 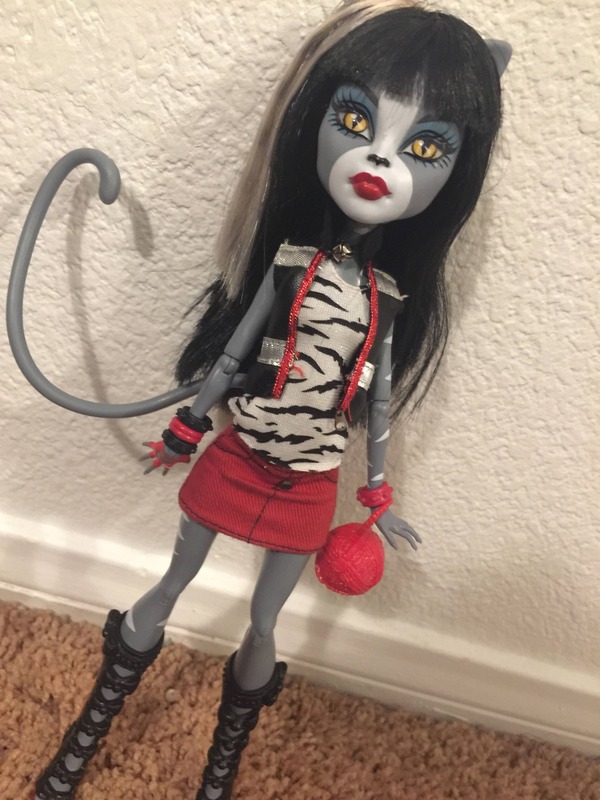 Catty Noir performing for my other MH dolls!